While consulting to the project architects, CRJA-IBI Group provided landscape design services for site improvements associated with the building of a new housing facility. Cornerstone of Recovery is a substance abuse rehibilitation facility. They focus on creating a safe, restorative, and healthy environment to foster recovery and personal growth. CRJA-IBI Group provided landscape design services while incorporating collected health data and anlysis into the planning and design process to influence the project design. The process was completed with the assitance of Designing4Health, a Atlanta based company, and seeks to create a environment that is healthy for both the patients and employees. 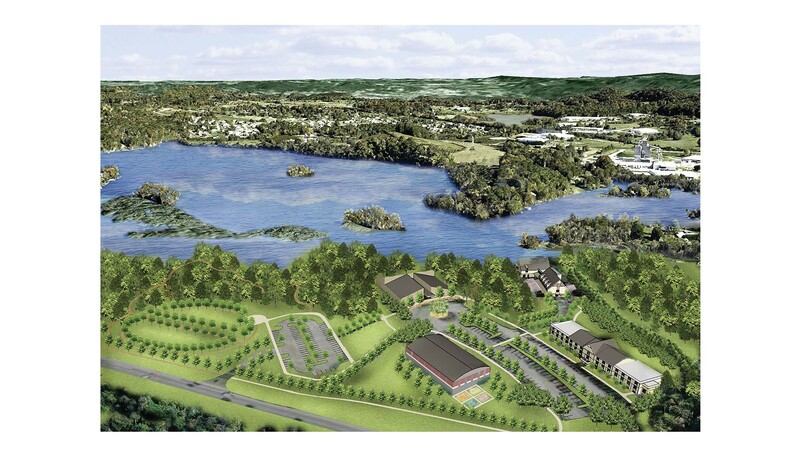 The facility is currenly in its first phase of development and includes a walking trail, fishing area, multiple meditation spaces, edible garden, terraced amphitheater, courtyard spaces, pond and lake access, and a firepit space for small group events. 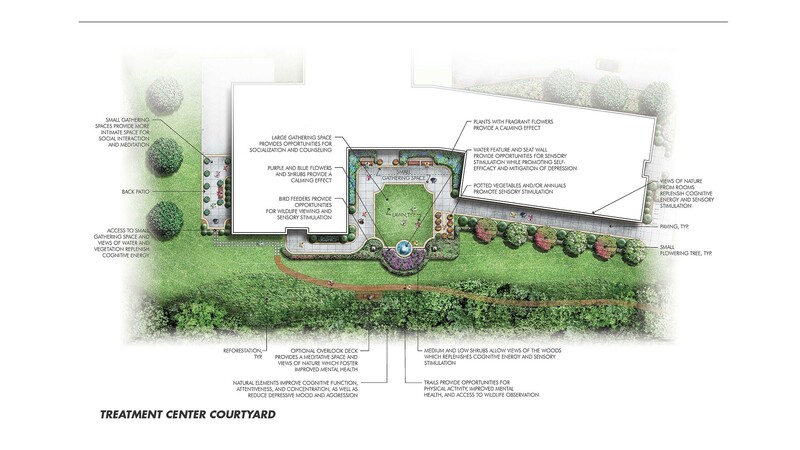 Phase 2 of the project will further connect all buildings on site and create active recreation areas including a high ropes course and a multi-use field.